nyan cat blasts you to a million pieces with her rainbow. Attack 2 : NYAN NYAN NYAN!!!! 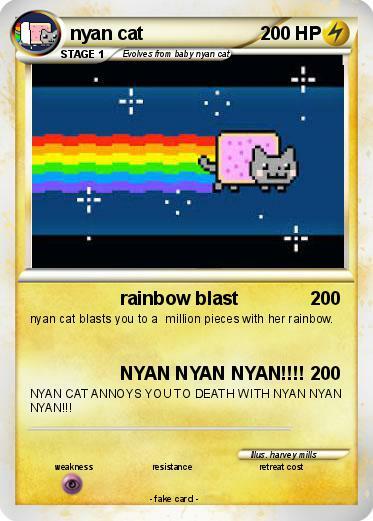 NYAN CAT ANNOYS YOU TO DEATH WITH NYAN NYAN NYAN!! !